AG Credit is a privately owned organization that offers mortgage banker and correspondent services. Headquarters of the organization is in Fostoria, Ohio. Record says that at present more than 50 individual industries avail mortgage and related services from the organization. Company professionals are planning to offer advanced services in other states than Ohio. According to recent record, 1, 500 full time employees are now working in this organization. Products and services offered by the organization include debt-consolidating services for bad credit borrowers, home mortgage loans, credit calculator for home equity industry. 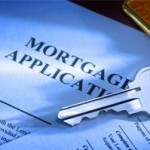 Professionals also offer information on online mortgage loans and available mortgage loans rates. There are currently 0 consumer reviews about AG Credit available. Share your review. Please take a note that you are about to post a public review about AG Credit corporate office on CorporateOffice.com. This review will be public, so please do not post any of your personal information on this website. If you would like to contact the corporate offices of AG Credit, please use their contact information such as their phone number, website, and address listed above to contact them. However, sometimes staff from AG Credit headquarters do read the reviews on this website.